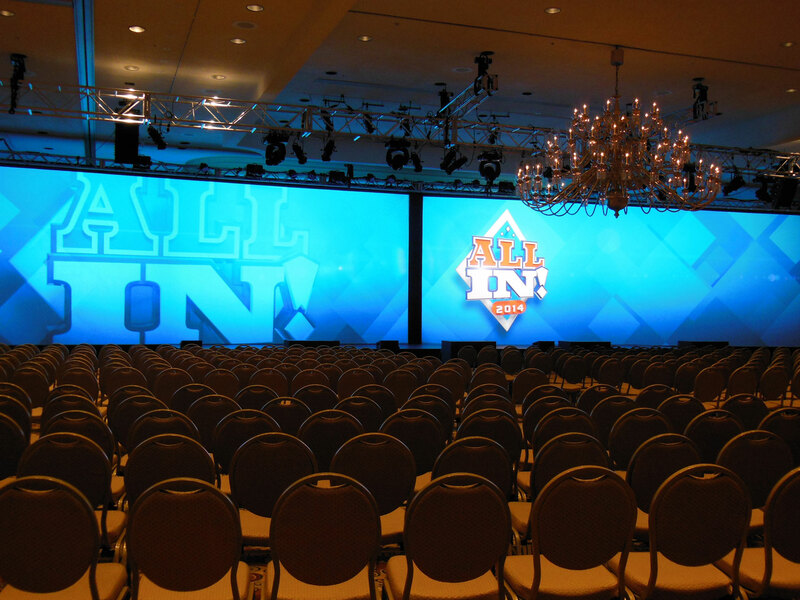 Sherwin-Williams Product Finishes wanted to freshen up the general sessions of their annual kick off meeting. Snap! has been working with Sherwin Williams since 2006 and we suggested that the overall event could be more engaging and creative. Our client told us it was important to maintain the focus on business, but that after hours we could take some liberties so long as our budget did not increase and our objective was to increase employee engagement and pride in Sherwin-Williams. Snap!’s created original and energizing video content to kick off each business session. 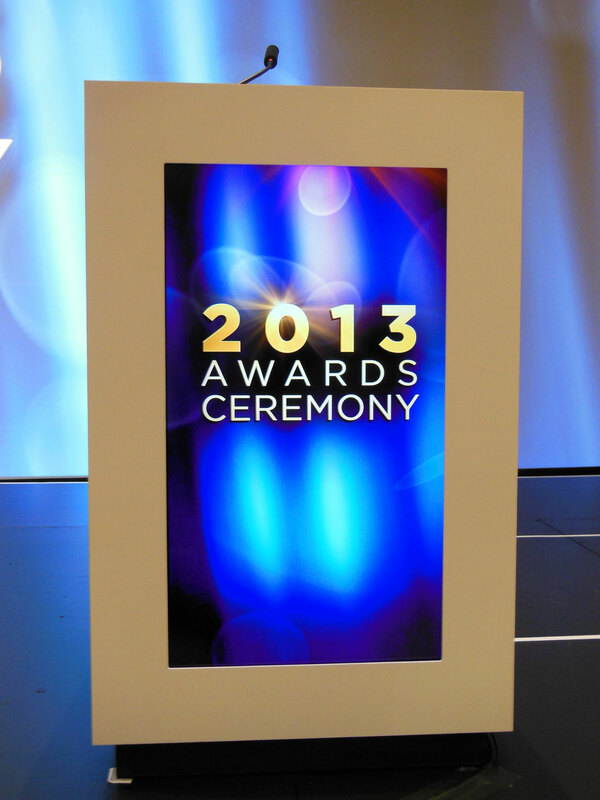 We created themed stingers that kept the audience engaged as we introduced presenters and award winners. Utilizing Coolux’s Pandora’s Box media server allowed Snap! to project this video content onto a gigantic 15 X 90 foot screen surface. The experience was truly immersive for every attendee. To ensure that content was fresh, clear and on topic Snap! worked directly with the executives in developing their messages. 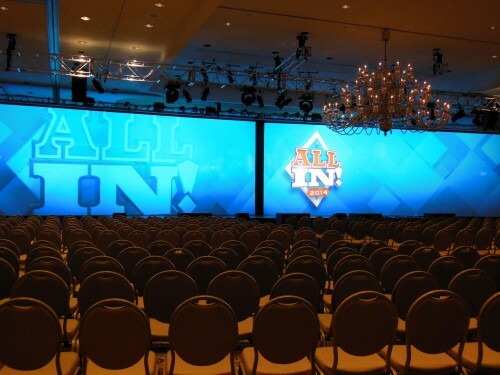 Our client provided clear, cohesive touch points that would provide the attendees with tools and motivate them to go “all in” in meeting their growth goals. Snap! 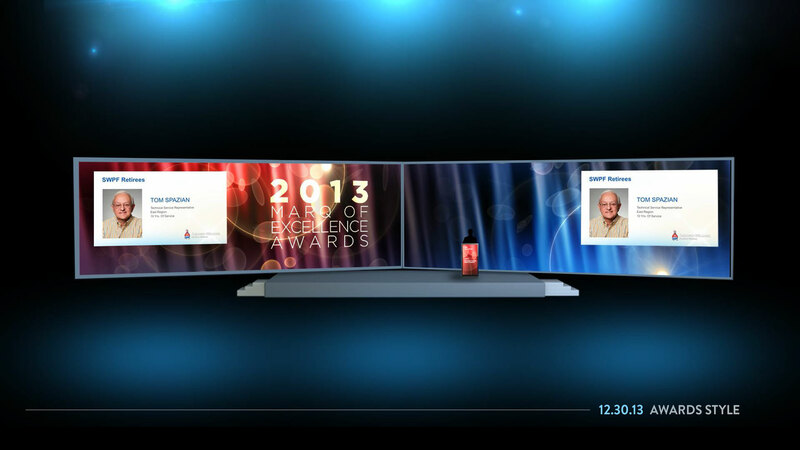 brought the messages to life with words, graphics, video support and impact lighting. To increase employee engagement and bring fun to the event we created a special evening session, dubbed “Sherwin Idol”. “Idol” was hosted by a comedian and spotlighted each region’s most talented (and perhaps not so talented) employees. The hilarious, all in good fun competition cultivated a friendly rivalry and sense of pride among the regions and made for a much laughed about, memorable evening. Snap! has established a highly collaborative relationship with Sherwin Williams Product Finishes. This comfortable and trusting working relationship empowered us to create bolder, high impact experiences that captivated their audience in ways we hadn’t before.